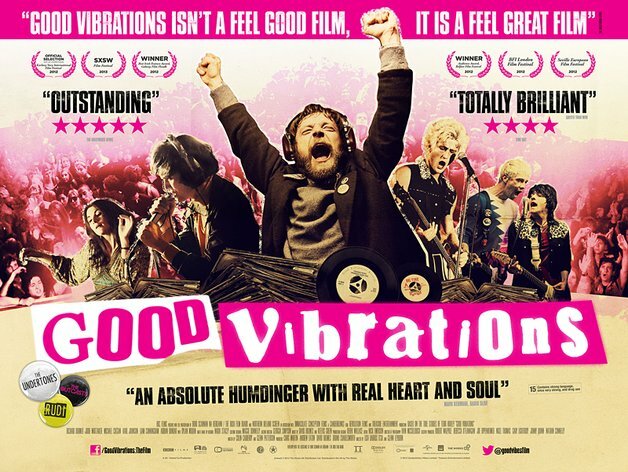 To celebrate the imminent release of ‘Good Vibrations‘ the movie about an independent record store in Belfast, based on Terri Hooley’s autobiography ‘Hooleygan‘ Paul McLoone on TodayFM will be having a Good Vibrations show tonight in his 9pm – midnight slot. Paul will feature an interview with Terri as well as lots of great music from the era. As they say round these parts, go see the movie early and often! If you check back after the show we hope to add a recording, blank tapes willing and all that. Update: Adding recording of the show. Fans of Ulster Punk might want to check out the IFI on Saturday at 16.10 where you can catch the John T. Davis documentaries ‘Shellshock Rock’ & ‘Self-Conscious Over You’. The Carrellines recorded a 5 track Fanning session in 1988 which is, surprise surprise, lost in the RTE archive. Today’s post instead features the band’s 1990 single on Car Records. 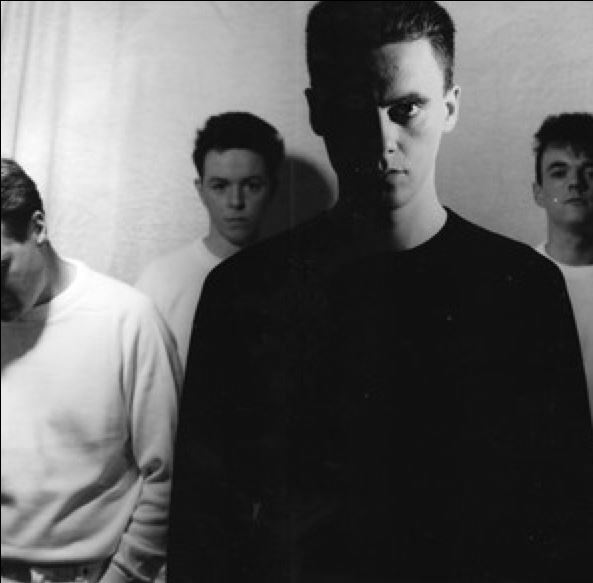 Featuring Paul McLoone (vocals & guitar), Aidan Breslin (guitar, keyboards), Damien Duffy (bass, keyboards) and Billy Doherty (drums) the Derry band formed in 1986 and disbanded soon after winning the Carling/Hot Press Band Of The Year in 1990. Billy Doherty was a member of Derry’s most famous sons The Undertones whose ranks Paul McLoone was to join in 1999 when that band reformed initially for a one off gig. As anyone who has seen the most recent incarnation of The Undertones will testify the man does an impressive job of filling Fergal Sharkey’s shoes. McLoone is probably most well known however in his guise as TodayFM alternative radio show host Monday-Thursday 9pm – midnight. The great reviews for the new ‘Strange Passion- Explorations in Irish Post Punk, DIY and Electronic Music 1980-83‘ compilation on Finders Keepers offshoot Cache-Cache are coming fast and furious and Darren McCreesh the man behind the release has been out and about giving interviews. Here’s what happened when he visited the TodayFM studios to talk to Carrellines (anyone got their Fanning session?) singer Paul McLoone. While you’re waiting for this to load up why not check out the reviews by Pitchfork, factmag, avclub, norman records and state magazine. An album stream is available here. The CD and vinyl release come with detailed liner notes so do yourself a favour and pick up the physical release. Personally we’re hoping Darren will concentrate solely on the RTE Fanning Sessions for his next compilation. The Frank And Walters featured on tonight‘s Paul McLoone show on TodayFM recorded live in The Green Room. They can be seen in Crosshaven on 14th July, Ballinhassig on 16th July and Skibbereen at Cork X Southwest on 31st July, full details here.